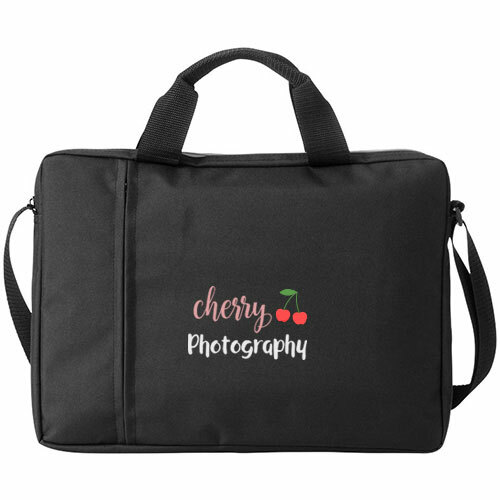 Practical Laptop bags with a shoulder strap, offering protective branding with the best prices from Helloprint. 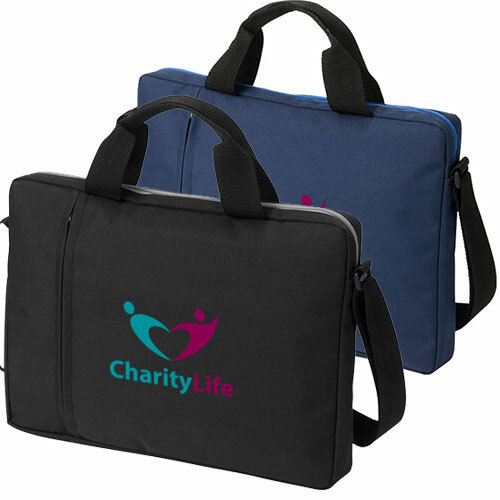 These laptop bags are equipped with a double handle, front zipper pocket and an adjustable shoulder strap. 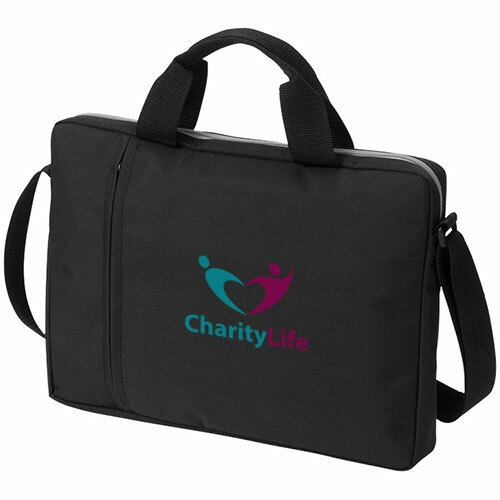 Make sure that your staff or clients make a strong impression of your brand and give them your corporate Laptop shoulder bags. 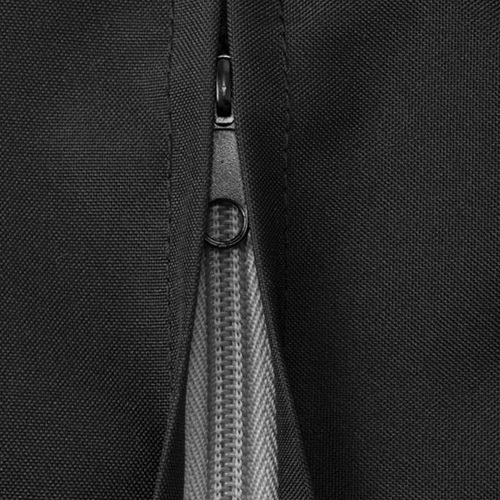 Laptop bags are bags specially made for carrying your laptop. They are used a lot for traveling to work or school. You can print them with the coolest designs. For the delivery of your laptop shoulder bags we use multiple carriers. Because of the highest reliability, in most cases we use UPS or DPD. The laptop shoulder bags that is chosen in most cases can be selected via our website.